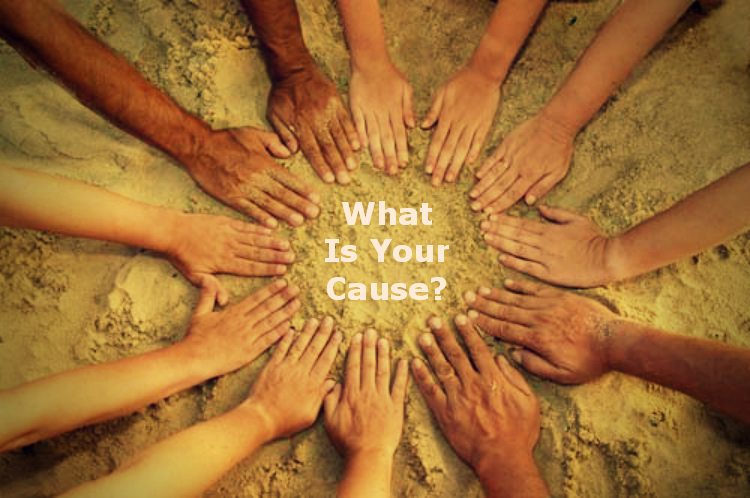 Relate: What is your cause? What do you live for? What gets you excited? For a moment please come with me back to the beginning of November a few years ago. I am going to change a name and a little bit about the situation, but in truth, I remember meeting with a student who was really having a hard time. He was going through one of those messy relationship break ups that most high school students have at least once or twice. At the same time he had been in a fight with one of his “good friends” at school and now he was looking at being ostracized from his clique. Things were rough. First world problems, I know, but knowing that doesn’t make those problems any easier to deal with in the moment. Anyways, around this time of year a number of the youth groups in the Syracuse area do a 24 hour famine (translation: fasting) to raise money for a missions program called Speed the Light. Not only do we get together and not eat and hear a message and pray but we also have opportunities in the middle of the day to do some practical acts of service. Imagine now this high school student who is already depressed. Now we are making him hungry and “forcing him” to rake leaves… HE LOVED IT! This one day excursion didn’t just help him feel better for a short while. it changed him. Yes, he went back the following Monday to all the same problems but his outlook had done a complete turnaround. React: I firmly believe that if you want to get out of depression, start caring for something greater than yourself. If you want to stop being so angry all the time, find and embrace and live out a cause that is worth your everything. If you’re hungry, don’t just eat… share a meal. Now there are some times that there might be a chemical imbalance and real, prescribed medication is necessary, but not most of the time. We treat medicine like modern day witchcraft. We combine natural substances in the hope of a supernatural result. Most of the time, as in 99% of the time at least, the best way to treat depression is to get the depressed to stop thinking about themselves so much. Jesus had a nourishment that went far beyond food. it was no big deal for him to skip a meal or two here or there. He was living for the greatest of causes. That cause was the reconciliation of us to God. He got so far behind this cause He would gladly lay down His life for it. When he watched that Samaritan woman run off and waited for the town to start running up, He was seeing that cause bear fruit. So I ask again… What cause do you live for? Do you even have one or have you not yet truly started to live? God, my cause is You. My cause is to bring freedom to those enslaved. It doesn’t matter if that entrapment is physical, emotional, social, or spiritual. I want to see freedom. Help me to rip away those things in my life that would only serve as distractions from this end. Help me to be more wise in my spending and saving so that I might be more generous with my giving. Help me to live for You. Help me to see and bring Your freedom everywhere I go and with everything I write. This is such an amazing and inspiring post! I love this line “if you want to get out of depression, start caring for something greater than yourself”. There’s a line in this wonderful song called “Burn Out Brighter”. The chorus goes “Live, I wanna live inspired/Die, I wanna die for something/Higher than myself/Live and die for anyone else/The more I live I see/This life’s not about me”. Something greater and higher than me – that’s truly want I yearn for. Do you have any tips for someone who knows what she wants but can’t find the willpower to do it? Yes, that’s me! I want so much to give Jesus my all but I can’t seem to make the break from moderation to being alive with God’s grace. It takes Jesus, I know, but what can I do to make myself more open to His grace? I hope you don’t mind this long comment. God bless you! I love anberlin. Wish I had thought of it before posting. I might have used it instead of hillsong. As to what you’re asking, I don’t have it all figured out. The disconnect between my dreams and my day to day life is huge. I do know that when I am faithful with one thing He gives me more. If you believe God is calling you to a specific country, culture, or cause, prepare. Study. Learn. He won’t open a door if you aren’t equipped to walk through it. Wonderful insight – as always! You can take all the medication prescribed by human doctors, the the best cure for depression, except for those that truly are due to physical or physiological breakdown, is to watch out for the needs of others and take your eyes off yourself. The more energy we use in support of another or of a worthy cause, the less energy there is to expend in being selfish and drowning in the pity pit. Good Word !! Put others ahead of ourselves !! My cause is to be a better Christian: to actually do what Jesus said instead of just knowing about the Gospel. I also want to help spread Jesus Gospel and inspire Faith. I spent a whole lot of years not being Faithful, arguing with God, and not knowing Jesus. I want to put God first and help others to do so and be saved and I also want to use the talents God has given me to help and inspire others in some way. Great post, thank you for sharing!! Stay committed to God through Christ Jesus and the rest will take care of itself! Brother B.J.Richardson’s blog on this subject ; “What is your cause? ” is an excellent reminder of where are priorities need to be in Christ. Please don’t skip the verses he lines out to read. It has very practical and spiritual values to our walks as Christian’s. It is a great admonition about, what our real motives towards our relationship with the LORD, need to be. This great piece of writing from our brother should build you up; as well as convict your heart. Of course, depending on where you are with the LORD. It certainly ministered to me. Thank you my brother for being sensitive to the leading of the Holy Spirit. I think we as a society throw the word depression around too loosely. There is a significant difference between depression and being “down in the dumps”. For the later, you are correct – get them thinking about something bigger than themselves. Works almost every time. For the former, for true depression, it’s not about pity or “feeling sorry for myself”. Most can’t really put a finger on what it is that makes them feel downhearted. Even that word seems woefully shallow. I don’t say this to say you are wrong in what you said, but just a caution. There is a rampant misunderstanding in the Church today when it comes to depression. Too much a mindset of “just snap out of it”. It’s a dangerous mindset, and one with too many sad results. So, just wanted to throw out the caution there. Still, a good reminder for us to live for something beyond ourselves. Interesting post. An alternative title might have been “Who is your Father”. Christ lived out the perfect example of being obedient to His father. When we obey Him, His Holy Spirit empowers us to do His will, and keep His commands through His willpower not ours. Reading the referenced chapters from Joshua, this becomes increasingly clear. I see little mention of mans’ feelings in either of the scripture references, beyond possibly “”feeling” hungry. The disciples life is marked by obedience to his Lord. The obedient son obeys the fathers commands. The commands/words of the father are his perfect food. God’s Word is supernatural food. He directs you with commands that actually include the power to do them. No human willpower added. Those chapters from Joshua are the daily Bible Reading for the one year chronological plan. Beyond the fact they lined up with what was written on that day (3/30) they have nothing to do with this post. Are you saying your Relate/React had nothing to do with your Read? The River Walk is a daily devotional. In 2014, we spent the year working through the book of John. We were still providing a link to the one year Bible plan for those who were using it. So the devotional was specifically for John 4:31-34. The Joshua references and link are a tool for those reading it daily and had nothing to do with what was written below. The post you are commenting on is from March last year. Thank you so much for clarifying that. Sorry. My observations had primarily come from relating scripture to scripture. Notwithstanding, I still understand Christ’s response to highlight sonship, fatherhood, obedience, revealed will, law, and sustenance. Would you agree?